Have your own Long Way Down with me and my good mate Billy Biketruck next August / Sept / Oct and have the ride of a lifetime from Cape Town to Victoria Falls via Namibia and Botswana – finishing at the awesome Victoria Falls hotel. Or onward through Zimbabwe, Botswana and into South Africa before exploring the Kingdom in the Mountains, Lesotho. Ride down the infamous Sani Pass, and the beautiful Garden Route back to Cape Town – or do the whole lot – Cape Town to Cape Town. This is our regular double trip and it’s getting better and better! Mica, from the USA was one of about 20 who joined our Cape Town to Victoria Falls trip a while back and with nice helmet cam and digital camera, he’s crafted some pretty cool segments and also ran a trip blog. You can check out the video here http://youtu.be/p4GTmh91tRE and the blog account here http://www.advrider.com/forums/showthread.php?t=725446. Hope you like them guys. Thanks for doing them – I think we’ll all remember those trips for a long long time! The last trip was an incredible feast of riding, socialising and discovering – a great bunch of people and a fantastic adventure yet again. We enjoyed the life on the road and stayed in some awesome lodges – sometimes way out in the desert or on the banks of the Zambezi river and some right in the swamps – surrounded by crocodile, hippo and lion. Staying in some lovely lodges and some simple ones too – gives you a real taste of Africa. The upward trip starts in August / Sept and will cover around 5,000 kilometres and 4 countries, in about 17 days through Africa’s most amazing countryside. Across open plains, through dense bush-land, forest and barren desert – this is a truly amazing journey, the first leg ending in Victoria Falls – on the Zimbabwe side. The second leg starts just a few days after and heads South through Zimbabwe, sneaking into Botswana through a tiny little bush border and then back into South Africa’s thriving city, Joburg. This year we found ourselves in a herd of elephants as we crossed the border – we were glad to have Billy with us, who’s a qualified field guide! What an experience. Leaving Johannesburg we cross an easy border into Lesotho – known as the ‘Kingdom in the Mountains‘ before enjoying the famous Garden Route of South Africa back into Cape Town. 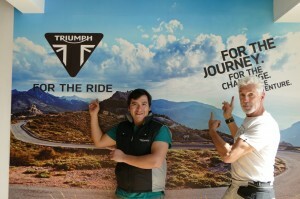 The trip uses Triumph & BMW bikes – a combination of 1200′s, 800′s. Knobbly tyres and Garmin Zumo GPS’s and we’re off. We will also have room for partners or family who would rather be in one of the support vehicles – or you can just rent one of our 4×4′s and not even ride a bike at all. This means that sometimes family can get ahead of the riders and laze at the pool or explore till the riders get in. If you want to come – but worry that it’s too hard – it’s certainly not an enduro – it’s sometimes challenging and borders can be frustrating, but well within the reach of most competent riders. We always recommend that riders should have completed an off road riding course in your home country, just to set you up and give you some confidence for the trip. In the UK of course we’d recommend my good mate Simon Pavey – but I’m sure you’ll have a local off road training centre in your home base. Remember, it’s an Adventure Ride – it’s not a race, not an enduro – it’s about culture, travel, sights, fun and riding, all wrapped into one – it’s about feeling the sense of Africa – the good bits and the challenging bits! 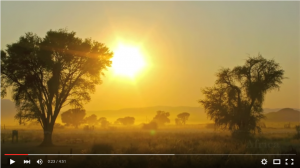 Once you’ve been to Africa – you’ll come back! Garmin shows Charley the way across Africa! Guys, we’ve just wrapped up our adventure across Africa for 2018. This year we used the Garmin Zumo 595, the 660 and the Garmin Virb camera. Historically, all our fleet were always fitted with the Garmin Zumo 660LM and it’s done us proud for many years and this year we’ve used a mix of the Garmin devices. One of the keys to our Africa tours, and a true differentiator is the fact that all the bikes have their own Garmin Zumo. This means each individual on the adventure can ride at his or her own pace. The Zumo’s are all programmed with our customised routes so we all end up at the same lunch stop or iconic photographic spot and at the end of the days ride, at the lodge for a well earned beer or glass of red. We never like riding in large groups, so the big advantage of the Garmin allowing riders to form small groups, two’s and three’s, really takes the pressure off a big ride and avoids the stress of trying to keep up with a faster paced rider – or a slower rider. If the rider goes off route for a picture, then the Garmin will bring them back – it’s just the best way to manage these big African bike tours and quite simply, we wouldn’t do a ride like these without them. This year we’re mixing the Zumo 660LM with the new 595LM. This is going to be especially cool this time because we’re also using the new Garmin Virb camera and you can control it from the GPS screen, both for turning the video on / off but also to take stills as you ride. The remote control aspect is a massive winner for us – you don’t want to be fumbling with the camera on your helmet as you’re riding along trying to both film and yet avoid elephants! Our adventure starts in Cape Town, heading north to Namibia’s skeleton coast and then east to Botswana and Zimbabwe, finally heading south back to Joburg before exploring Lesotho. We’ll exit Lesotho south and finish our epic trip along the famous Garden Route of South Africa back to Cape Town – in all about 10,000ks. For more information about the ride and the Garmin Zumo - click on the image below or go to their UK Website. And of course if you want to join Charley on his great big African Adventure – keep an eye open here as we make the information available. 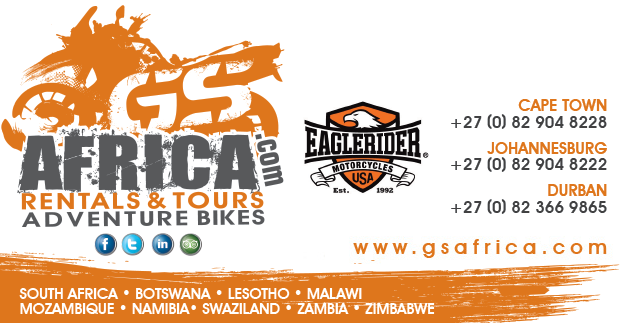 Just like to say a big thank you to Paul, the owner / director of GS Africa our top motorcycle hire company. The company is top draw and we’re so excited to be working with them this year. Their organisation is easy to work with, flexible to suit our needs, while at the same time has a tight professional infrastructure so we know we can rely on their bikes and their service. We’re pretty fussy who we use to supply our tour bikes and we’re probably not the easiest of customers – but when we met Paul and got to know the operation, we knew we made the right choice. The bike choice, accessories, rider gear – even right down to picking us up at the airport with his shuttle service – many thanks dude. We’ve been meaning to do this for years – and at last we managed to put some time in and pull it together for 2017 – August 28th at the Casino in Cape Town. This is Charley’s touring show with of an added update regards his accident last year – how it happened and how the recovery is going. 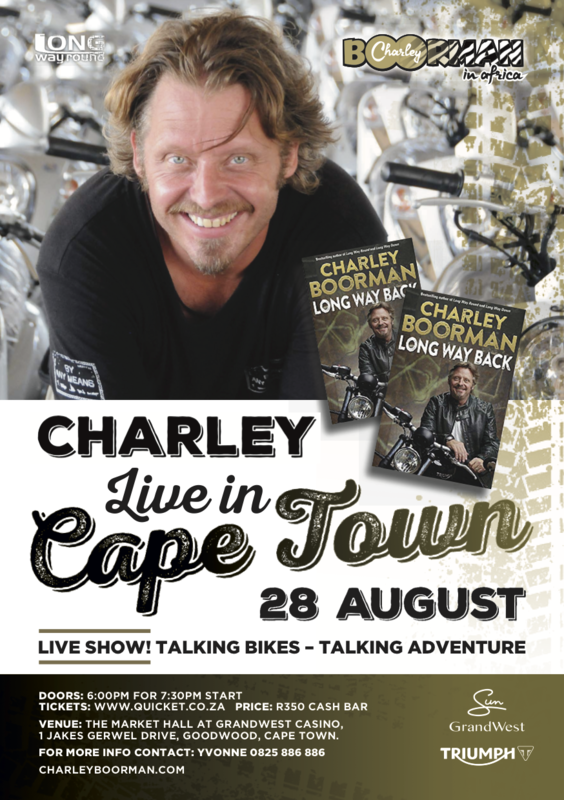 Charley will be leading a pack of Adventure Motorcyclists across southern Africa – but the day before they go, we have the show – this should create a nice send off. This show has toured the UK, Australia and even South America so we know the South African audience will love it too. 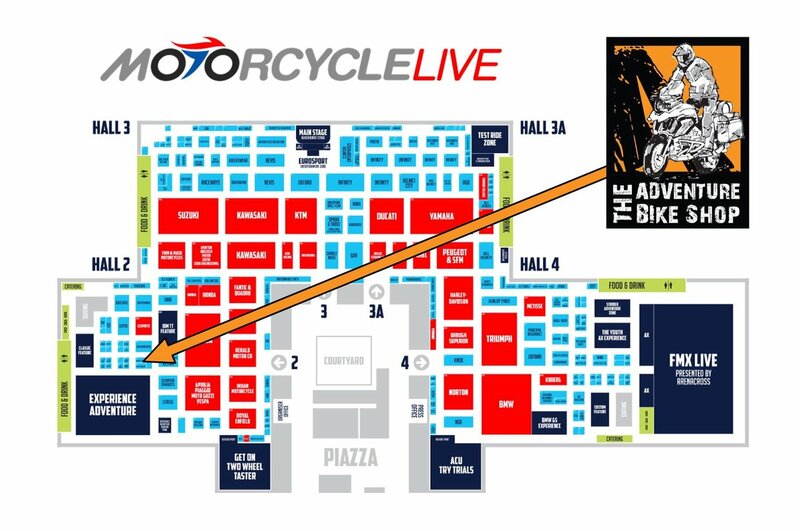 Guys, come and say hello at the Triumph Stand – The MCN London Motorcycle Show this weekend! Charley will be signing, photo bombing and giving stuff away both on the Friday and Saturday. Friday 17 th Feb 10.30am and again in the afternoon at 2.00pm. Saturday 18 th Feb 11.45am and again in the afternoon at 3.00pm. We may also be doing some LIVE FACEBOOK CHAT depending on Internet connections etc, so watch this space and keep an eye on Facebook and Twitter for more information. As usual, the show will be full of amazing bikes and some great bike action with John McGuiness and pals! See you there! 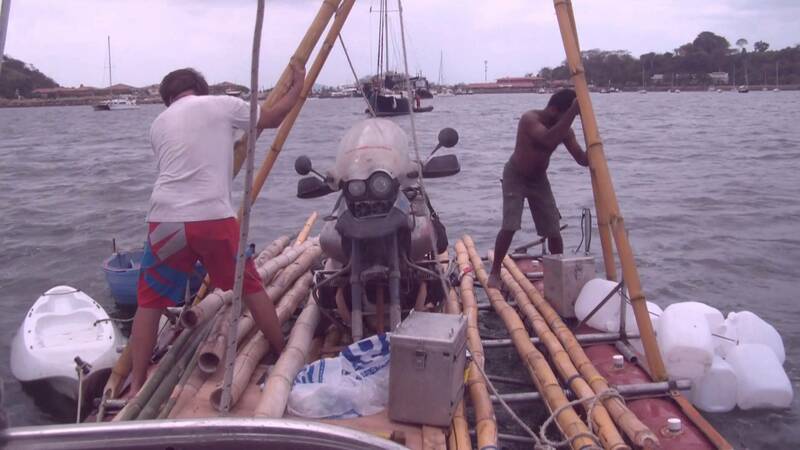 Guys, we all are drawn to adventure – doing it, reading about it or watching it. For the last ten years, maybe more, the growth of world travel and adventure holidays has been incredible. This part of the travel industry is still the most dynamic and continues to expand. It appears, we’re more interested in the idea of travel and culture these days than just sitting on the beach with a beer – this is a fantastic change and it fills me with positive energy. But the adventure should be defined by you. You don’t need a big (or small) motorcycle, you don’t need to travel around the world or be the fastest from here to here, you don’t need to be rich or a celebrity or create a documentary – you just need to do your thing! A day out in the countryside, a ride to the coast or a one way cheap ticket to ‘anywhere’ – they’ll all give you that buzz, that spirit. I’m not having a go at myself here – and of course for me, the motorcycle is intrinsic to my life and my soul, I’m just trying to underline the point that it’s you who has the control to design your personal adventure. Our dreams can often be played out through others and that’s fantastic as it shows us that barriers can be overcome, challenges can be met and people can do amazing things. Enter Dylan Wickrama! About a year ago, Billy Ward, who manages many of my projects told me about this guy. Dylan came from a poor background with limited opportunities and low horizons, but his story shows that struggle, determination and positive thinking can make dreams into reality. By chapter three I was already planning my next trip. This book is indeed inspirational, it offers hope and support to all of us, particularly when things aren’t going right or we come up against some of life’s problems. Nice work Dylan – and a great read. So, read the book – get some planning into operation and have an adventure, join an adventure or if you can – ride an adventure! This year has seen us kick off with an amazing ride in Australia, an announcement of an incredible riding adventure in Africa for 2017 – but more to the point a spectacular expedition into South America – which is happening right now. 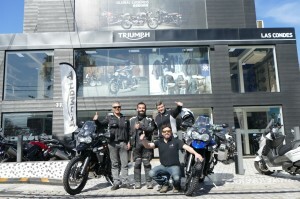 The South American expedition would not have been as cool and professional, if it wasn’t for the help and support of Triumph Motorcycles Chile – an incredible bunch of Triumph enthusiasts whose support and attention to detail has helped us get an awesome set of adventure rides off the ground. With Billy (Biketruck) doing a pre trip recce to make sure things are as they should be – we were presented with two ultra cool Triumph 800 XCX’s – kitted out with Continental TKC 80′s (The best knobbly tires in the world – me thinks), a Garmin Zumo 660 (Which we use in Africa and Australia – the best of the bunch) and of course some superb Touratech waterproof roll bags – which have served us well now for nearly eight years – those bags last for sure. 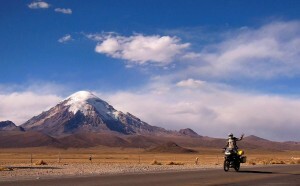 The route of the expedition is pretty extensive – Chile, Argentina, Bolivia and Peru – criss crossing the Andes, riding alongside volcanoes, the Pacific Ocean, Lake Titicaca – not to mention the historic Machu Picchu – this is serious travelling. And for those doubters who think organised tours are not the real thing – let me tell you, I’ve done enough of them now to know that you just cannot predict what will happen – they’re organised, but they’re still adventures – we’ve even had an earthquake on one – but that’s another story. Please follow Billy Biketruck, myself and Triumph Motorcycles Chile on Facebook and Twitter – and keep an eye open for Instagram, to get a feel for the expedition, the adventure and the highs and the lows – because there will be both, for sure. 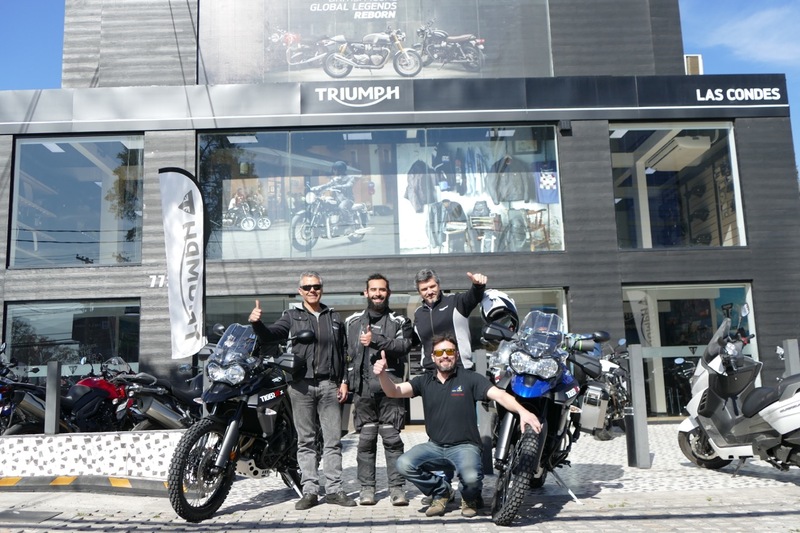 Thanks again to Triumph and to Triumph Chile for all your hard work and support to make this adventure a reality – and finally, a great big thanks to all those who are joining the trip – you’ll have the adventure of a lifetime, and a few laughs and super culture thrown in. We’ve been travelling through Africa for many years, leading groups of riders and 4×4 drivers into some fascinating territories. Across Morocco’s High Atlas and down to the Cape of Good Hope. There is truly magic in Africa. All of our trips include time to encounter some of Africa’s most amazing wildlife. From the tiny little Dik-dik antelope, only weighing in at about 3 kilos, to the mighty elephant – the largest walking animal on earth, we’ve had so many moments of pure joy being close to these creatures – it’s been such a privilege. This year we’re going a step further. We’ve decided to make our adventure trips much more clued up and more in tune with nature, you could say more ‘eco centred‘. Yes, I’ve learnt a fair bit about the African flora and fauna over the years – but I think we need more, more knowledge, more detail and increased understanding. 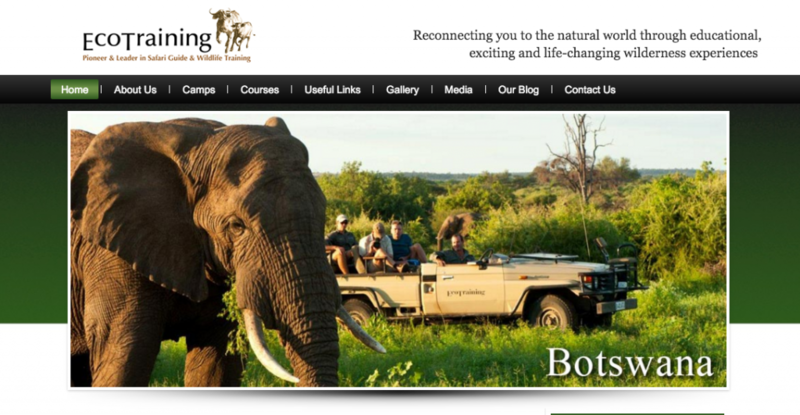 We’ve recently discovered an amazing educational centre in southern Africa called EcoTraining. Their whole ethos is driven by the desire to educate people about nature and the ecosystems that co-exist around the earth that give us the delicately balanced joy’s of wildlife, plants, people and the natural world. We were so taken by this organisation, we decided to send our hero – Billy Biketruck – to Africa for a few months, to get trained up as an accredited Field Guide. Some of you who know Billy, know that he’s pretty well into that side of our African tours, so who better to send on this mission of discovery and adventure. We’re going to follow Billy throughout his training and keep updating everyone how things are going – right through to his accreditation exams at the end of the course – so no pressure hey, Billy Boy? You can follow Billy’s Twitter @biketruck and also pickup regular updates from here. Most of this year Billy will be in Australia, Africa and South America – so the 2 months he’s putting into getting his accreditation means he’ll be home in the UK with just enough time to maybe cut the grass – before he’s on a plane again back to Africa. We’re incredibly excited to have this opportunity with EcoTraining and from our perspective, to have Billy as a fully trained up Safari Field guide, will add a whole new dimension to our African adventure rides. The excitement of spending some time in the bush, looking for tracks – maybe even tracking an animal – wow, this will be more than a motorcycle or 4×4 trip – this will make our trips so special – a trip of a lifetime. Of course, Billy is a bit of a character – so we’re not expecting this to all go smoothly – maybe the best way to collect crocodile eggs for research is NOT by pulling the tail of the 18ft Daddy croc – Billy has a lot to learn. I’m sure we’re in for a few laughs and some fantastic images along the way. If anyone would like to join Billy on his new adventure, it’s an open education centre and they take people from all over the world. Check out their courses and availability here on their website calendar – in our view they’re the leading specialists in this area with a reputation second to none. They are the eco oracle. ps. Watch this space for more info and updates as it happens… should be a fun ride! Africa in 2017 Ride with me… Book now! Hope you like them guys. Thanks for doing them – I think we’ll all remember those trips for a long long time! 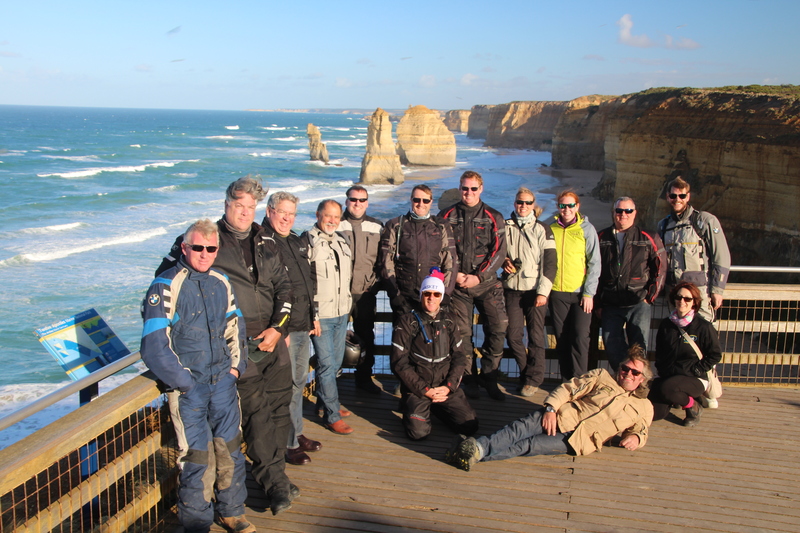 I’ve just finished the 2015 trip – which was an incredible feast of riding, socialising and discovering – a great bunch of people and a fantastic adventure yet again. We enjoyed the life on the road and stayed in some awesome lodges – sometimes way out in the desert or on the banks of the Zambezi river and some right in the swamps – surrounded by crocodile, hippo and lion. The trip starts in August and will cover around 5,000 kilometres and 4 countries, in about 16 days through Africa’s most amazing countryside. Across open plains, through dense bush-land, rain forest and barren desert – this is a truly awesome journey, the first leg ending in Victoria Falls – on the Zimbabwe side. The second leg starts just a few days after and heads South through Zimbabwe, sneaking into Botswana through a tiny little bush border and then back into South Africa’s thriving city, Joburg. Leaving Johannesburg we cross another border into Lesotho – Known as the ‘Kingdom in the Mountains’ before enjoying the famous Garden Route of South Africa back into Cape Town. The trip uses Triumph & BMW bikes – a combination of 1200′s, 800′s or GS 650′s. Nobbly tyres and Garmin Zumo GPS’s and we’re off. We will also have room for partners or family who would rather be in one of the support vehicles – or you can just rent one of our 4×4′s and not even ride a bike at all. This means that sometimes family can get ahead of the riders and laze at the pool or explore till the riders get in. If you want to come – but worry that it’s too hard – it’s certainly not an enduro – it’s sometimes challenging, but well within the reach of most competant riders. Remember, it’s an Adventure Ride – it’s about culture, travel, sights, fun and riding, all wrapped into one!